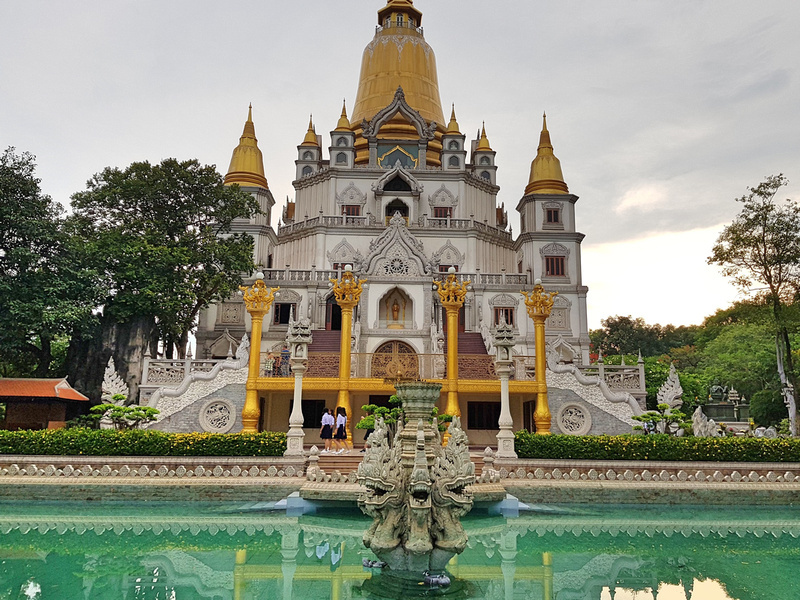 Ho Chi Minh City has a wide variety of monuments representing different religions spread out across the city. Most visitors will be content to see those around District 1 and District 5. 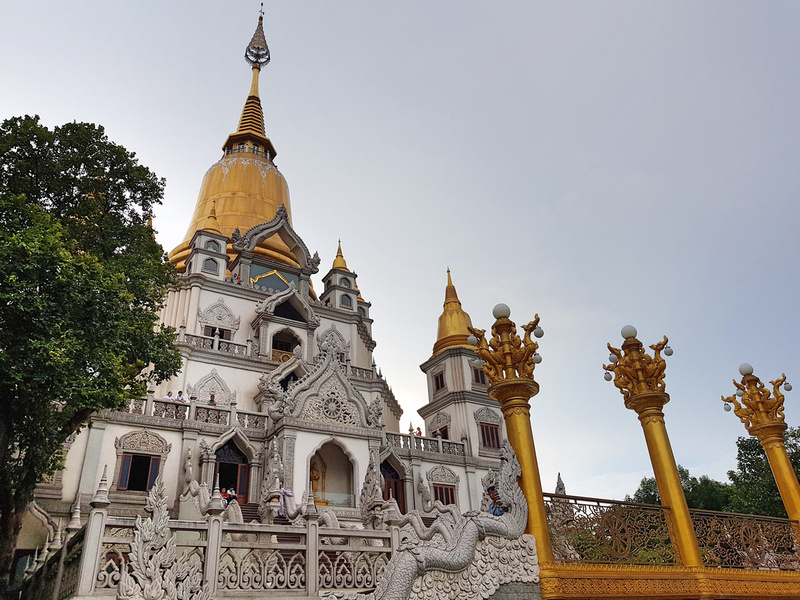 If you have a bit more time on your hand then a visit to the Buu Long Pagoda (Chùa Bửu Long) will take you off the proverbial beaten track. This pagoda is in District 9 in the far east of the city. There is no convenient direct public transport from District 1, and it’s still a rural district in places. A visit to Buu Long will give you a glimpse of another side of Saigon. Ho Chi Minh City is relatively flat, with a topography that is similar to the Mekong Delta – a plain with lots of waterways. To see any kind of hill (even a small one) stands out in this environment. 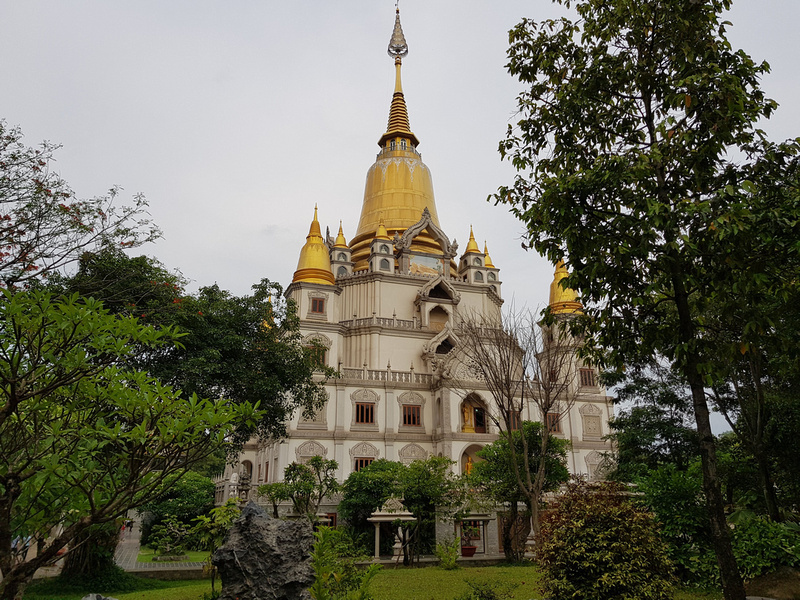 The Buu Long Pagoda is on a hill that is perfect for building a pagoda on. 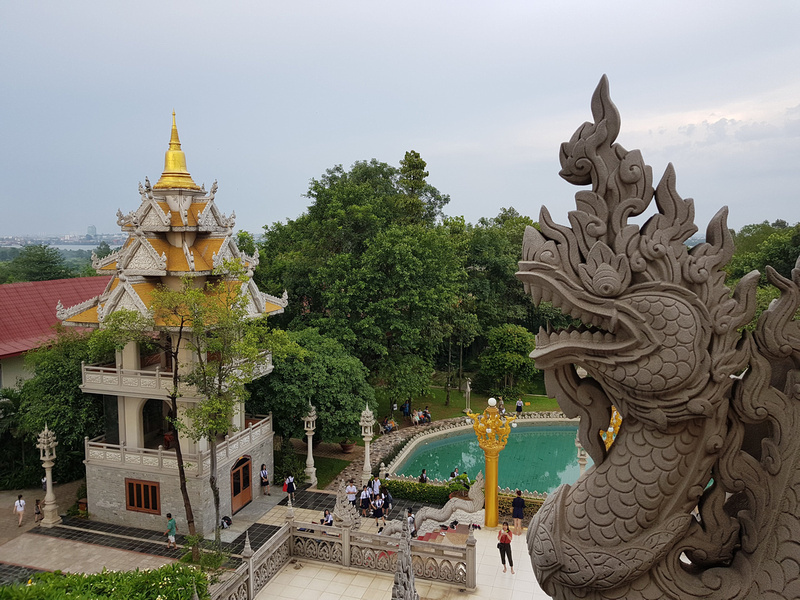 The pagoda is similar in style to what you see in Thailand and Myanmar. 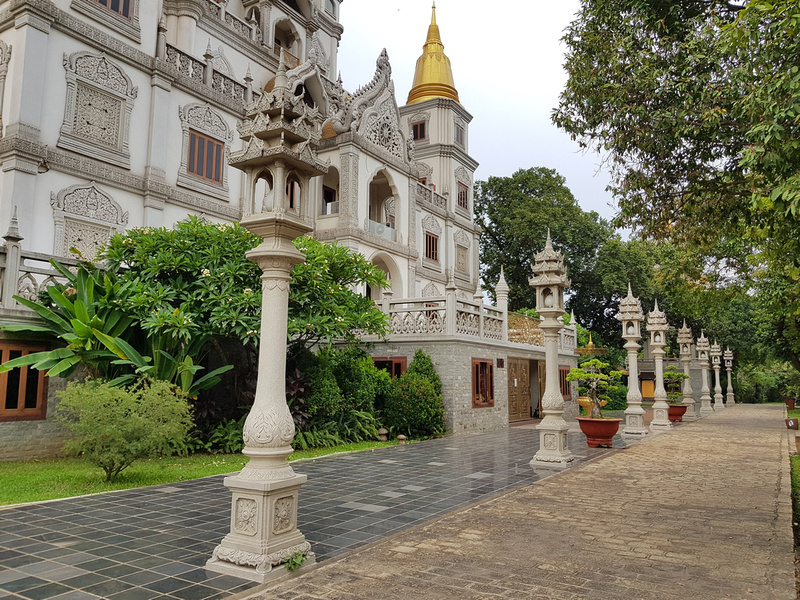 Buddhist temples in Vietnam tend to more East Asian in style with multiple stories. The temple practices the Theraveda branch of Buddhism like in Thailand (but I didn’t see any Buddhist quotes in the garden). When I fly into SGN airport I usually get a window seat on the A-side, which gives you a city view when you land. 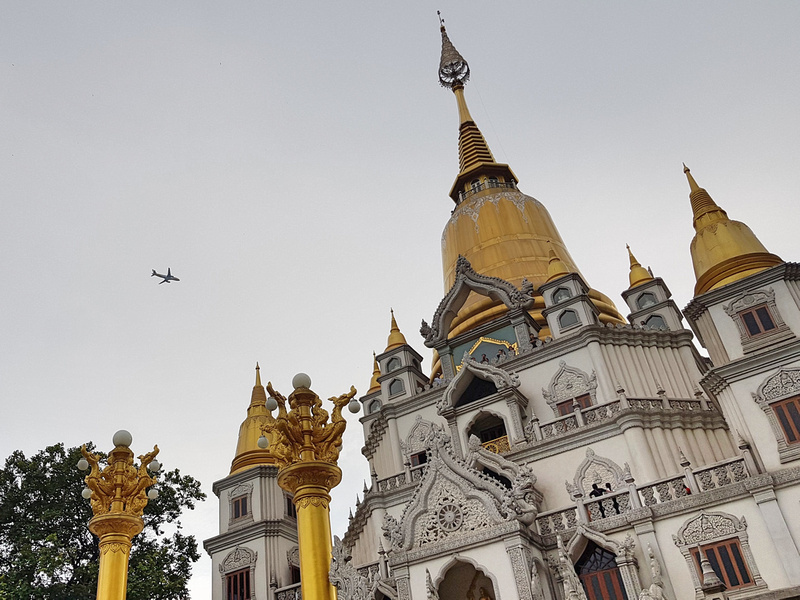 If you are sitting on the right side of the plane you should be able to see the pagoda as it’s in the flight path. I was the only foreigner here during my visit, and I’ve never seen it advertised as a “thing to do”. It was well-attended by weekend tourists but not over-crowded. The temple faces the Dong Nai River, which forms the eastern boundary of District 9. On the other side of the river is Dong Nai province. The view from the top gives you an idea of how rural District 9 still is. Looking back towards the city you can see the Landmark 81 Tower popping its head above a forest, giving a general indication of how far away you are from the Saigon River. Behind the pagoda is a big garden you can wander around. There is also a vegetarian restaurant onsite, offering cheap Vietnamese vegetarian meals. The most popular way to get here is by private bike. The route via the Hanoi Highway is the quickest, though it’s a big road so it’s noisy and stressful to ride on. If you aren’t in a hurry then taking the back roads through District 2 and 9 is an illuminating insight into a modernising city. Here you will see newly-planned cities rising amidst rice fields and fish farms. For visitors without a bike the best way to go is to use a Grab Taxi/Motorbike. Uber has merged with Grab in Southeast Asia, so will need the Grab App in this part of the world. The embedded map shows a route from Ben Thanh Market to Buu Long Pagoda to give you an idea of the distance. 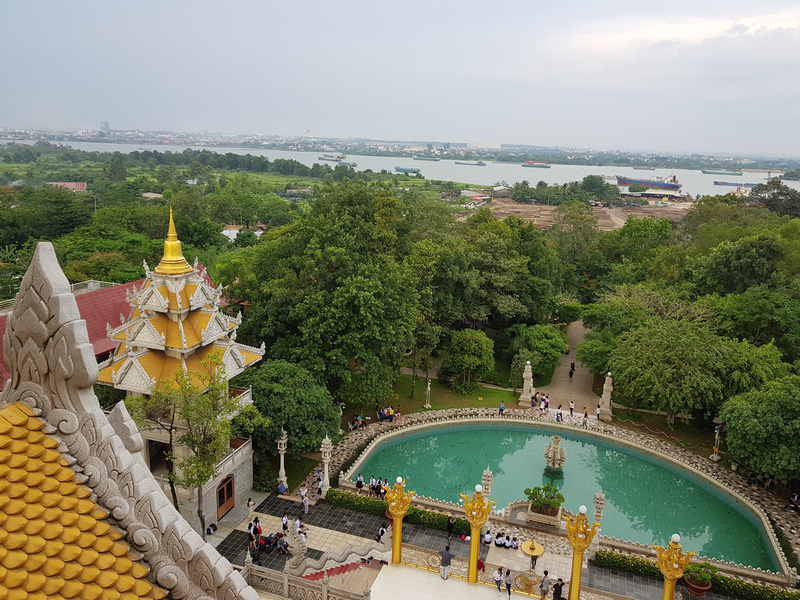 I have been to HCM a couple of times and done the mostly touristy things, in and around. 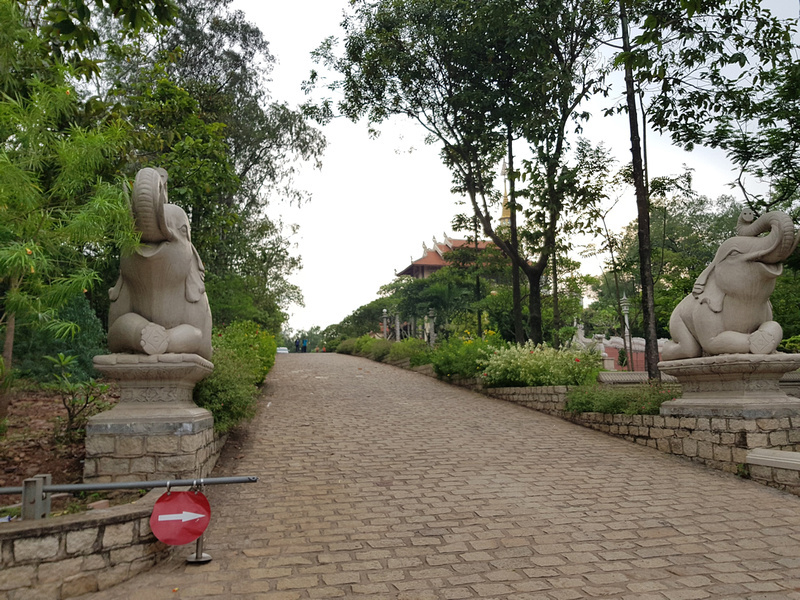 I am coming back in a couple of months and would like to go out to Buu Long Pagoda not keen on Exeom so what should I be looking at paying for a car and driver for the day and any suggestions, thought I would use the District 2/9 route rather than the Highway simply to see a bit more. And if you have any other suggestions for sights outside the city that may be worth visiting on the way there or back.